At the heart of any investor’s drive is to find success like Warren Buffett, or at least to find financial independence. The ultimate goal is never really in question but rather the path to get there is debated on investing forums across the world. 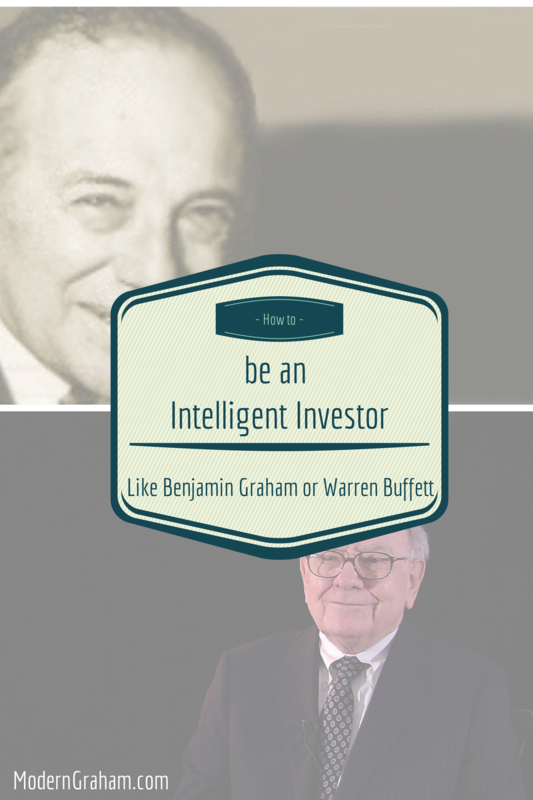 However, there are some lessons that can be gleaned from Warren Buffett and Benjamin Graham to help an investor become more successful and be a true Intelligent Investor. Here’s a list of seven steps to take in order to become a better investor in the Buffett and Graham style. This is the nineteenth discussion of the ModernGraham Book Club’s reading of The Intelligent Investor by Benjamin Graham. Even if you don’t have the book I think you will find our discussions to be very useful in your own understanding of value investing, and you can still bring a lot to the discussion from your own experiences as an investor. This is the eighteenth discussion of the ModernGraham Book Club’s reading of The Intelligent Investor by Benjamin Graham. Even if you don’t have the book I think you will find our discussions to be very useful in your own understanding of value investing, and you can still bring a lot to the discussion from your own experiences as an investor. 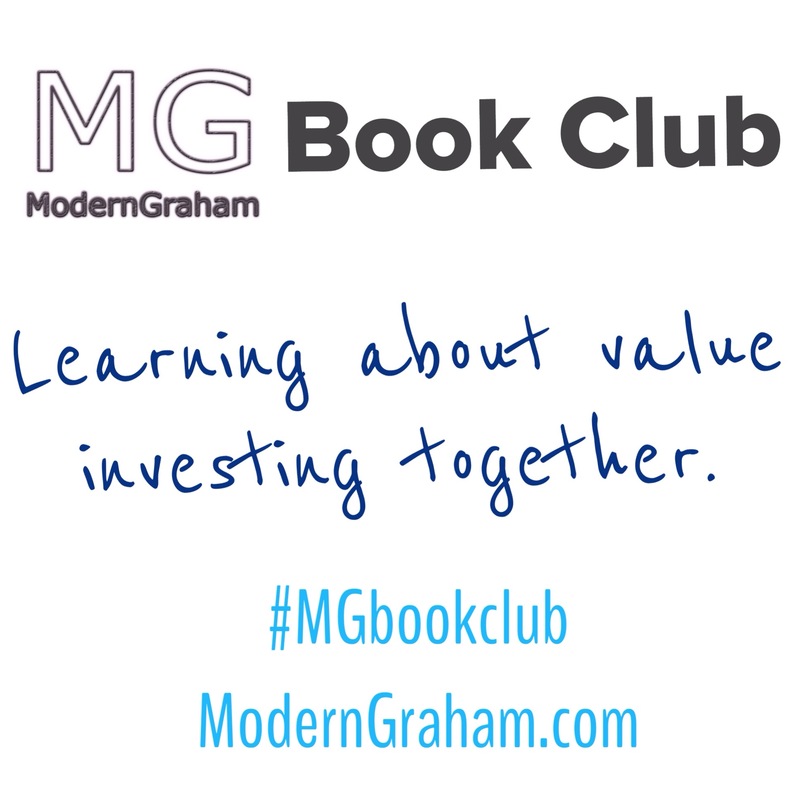 Learn about what Benjamin Graham thought about Convertible Bonds by participating in this week’s MG Book Club discussion! In this week’s discussion of The Intelligent Investor, we delve into the specifics of how ModernGraham has modernized Benjamin Graham’s requirements for Enterprising Investors. Be sure to check it out and join in the book club discussion! Graham provided Defensive Investors with 7 requirements for selecting stocks. Let’s take a look at each of the Defensive Investor’s requirements, and how I have modernized them here at ModernGraham. In this week’s discussion of The Intelligent Investor, we use Graham’s ideas to compare four listed companies: Amazon, Intel, Netflix, and Wells Fargo. Even if you don’t have the book I think you will find our discussions to be very useful in your own understanding of value investing, and you can still bring a lot to the discussion from your own experiences as an investor. This chapter is one of the key chapters in the book, and expounds some central concepts to the approach ModernGraham uses. Even if you don’t have the book I think you will find our discussions to be very useful in your own understanding of value investing, and you can still bring a lot to the discussion from your own experiences as an investor. This is the eleventh discussion of the ModernGraham Book Club’s reading of The Intelligent Investor by Benjamin Graham. This week we will discuss the eleventh chapter, which is titled “Security Analysis for the Lay Investor: General Approach.” Even if you don’t have the book I think you will find our discussions to be very useful in your own understanding of value investing, and you can still bring a lot to the discussion from your own experiences as an investor.